Denufood - Delicious & Nutritious Food: Happy Gudi Padwa/Ugadi !!! 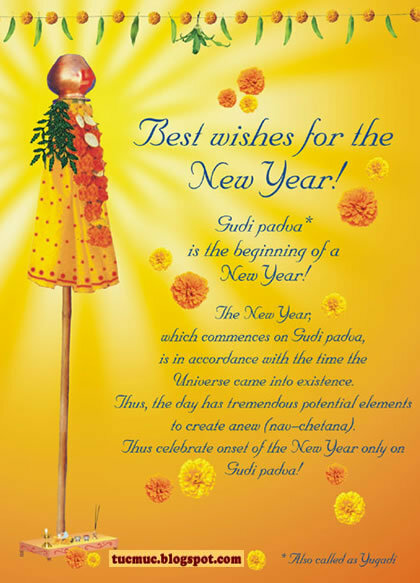 Happy Ugadi and Gudi padwa!!! a very happy uadi to u.
Hi sharada, how r u doing?...wish you a very happy ugadi.. Happy Ugadi and Gudi Padwa. Happy Gudi Padha to u and ur family. May the season bring u lots of happiness and good health.